I’ll readily admit I haven’t read a Denise Deegan book in a long time. I think Turning Turtle must have been the last book I have read from Denise but when I saw a few people talking about this new young adult book Through the Barricades and saying how good they were finding it I knew I wanted to give it a try. I love historical fiction and although this was released late last year it places the spotlight on the events of 1916 which were the focus of major attention here in Ireland during 2016 as the 100th anniversary was celebrated. The cover for the book made me want to get stuck straight into the story all the more. I know this was a young adult book but I do think anyone could read it and take just as much if not more from it. At times I did think would it be a little too detailed for young teenagers. I was thinking in particular sixth class as I teach in a primary school. It was quite a long book and I felt if a class were to read it their attention may waver ever so slightly. 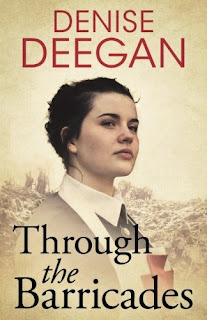 Saying that this was a very good, eye opening read and it was evident Denise Deegan had undertaken plenty of research into the years of the residents living in Dublin leading up to 1916 and in to World War One where our main male protagonist finds himself fighting on the enemy lines. I did find the book quite slow to get going and wondered what direction it would eventually take but when we reached part two I felt the pace and the general development of both the plot and the characters picked up significantly and it needed to do so to keep the reader engaged as my attention had begun to wander by this point. But I was glad I persisted because if I had not I would have missed out on interesting historical story combined with a riveting romantic element. The book opens with a brief prologue in 1906 as a fire engulfs the home of Maggie. Her father throws her out the window to safety saying’ Make a difference in this world Maggie’. This is a motto/advice that Maggie lives by throughout the course of this story and in times of desperation and struggle she remembers the words her beloved father told her and carries on no matter how tough the situation is that she may find herself in. Part one of the book follows Maggie and Daniel as their paths converge on the streets of Dublin as Maggie battles with a flat bicycle tyre. Right from that first point of contact the reader can sense that although they may be from different class backgrounds they have a connection, a spark which will weather many storms and obstacles yet at all times their affinity and respect and eventual love for each other shine through even at the most despairing of times. I felt the first part of the book was a slow and gentle introduction leading up to more wider events taking place in the coming years. It did give the reader a good insight into the lives of people living in Dublin at the time and how they were dealing on a daily basis with the repercussions of the Lockout. Maggie and her mother volunteer in a soup kitchen and here is where the character of young Lily is introduced and soon taken under the family’s wing. There wasn’t a huge amount of interaction between Daniel and Maggie at this point. Yet Daniel was always there hovering away in the background. He would do anything for Maggie and never wanted to see any harm befall her. It was wonderful to see such compassion in someone so young. He too volunteered at the soup kitchen which would have been frowned upon if his lawyer father had discovered this but to me it showed the love despite his age that Daniel had for Maggie. That he would do anything to be near her even if it meant going against his parents and keeping things hidden from them. I did think it’s sad that in today’s society that we could say that soup kitchens are very much in use in Ireland today and it makes one wonder have we really come all that far in some ways as a country since 1916? As I have mentioned the book for me was slow to begin with and then as Maggie and her family and even Daniel become embroiled in events in Dublin and the build up the Rising of Easter 1916 the history buff in me loved every aspect of this and it was great to see the story we have read about in history books since primary school come to life in a fiction book but in a way that became more easy and accessible the further I read. My only worry would be would readers from outside Ireland get everything connected with 1916 and the fight engaged in by both Maggie and Daniel for freedom? 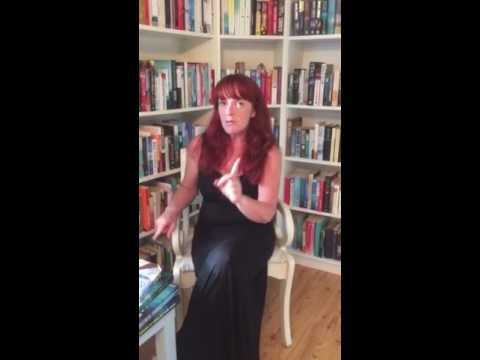 Yes there may be readers not from Ireland but who take a keen interest in Irish history and would know the background to the story but maybe others would just read the book for the love story involved. I suppose everybody would take something different from it. As events in Eastern Europe began to make headlines in 1914 the cosy relationship between Maggie and Daniel took a different turn and therefore resulted in different sides of our two main characters emerging. Both were pushed to the pin of their collar and tested in more ways than one. Yet Maggie was a character who showed unbelievable strength and tenacity and she wanted to be out there doing her bit even if the general belief held by many was that a woman’s place was in the home behind closed doors. It was almost as if she could sense times were changing and she wanted to be at the forefront of everything and I suppose she did have the words of her father echoing in her ears. As Daniel finds himself signing up for the war effort and far from home the author never spared any details about life on the battle front and even though this may have been a young adult novel I felt the detail needed to be there. The horrors of war should not be spared at all and the later half of the book would not have had the same impact on me if they had not been present. Daniel does an awful lot of growing up pretty quickly yet I felt his deep longing for Maggie and in one way I wanted to tell him why put yourself through this? Why have a forced separation from the one you love and in turn put them through so much agony and heartache? Yet maybe he felt obliged deep within his soul to do his best for his country and the wider world. I kept reading eagerly to see how all the events would lead to a big climax to the story. Denise Deegan should be proud of Through the Barricades. She has written an excellent story with plenty of historical fact mixed well with a beautiful love story that aims to endure for as long as possible despite all the barriers and hurdles placed in its way. I did feel the ending left room for a sequel and heading into the 1920’s and the setting that could be possible with another book would make for another great read. Through the Barricades was an honest, emotional and at times intense read but it is one I am glad I took the time to read. I would urge you to do the same.